Areas of Practice: Clinical Negligence, Personal Injury, Product Liability and Group Actions. Memberships: APIL, AVMA, PIBA, London Welsh Lawyers, American Association for Justice, Global Justice Network. Ever since completing a specialist pupillage with one of the country’s leading practitioners, Tom has maintained an extensive Clinical Negligence practice. Tom acts for both Claimants and Defendants. His current caseload includes cases of severe birth injuries, avoidable strokes, delayed diagnoses of cancer, amputations, cauda equina syndrome, negligent bariatric surgery, misdiagnosed fractures and complex regional pain syndrome. Tom frequently appears at complex, multi-day inquests. C v Milton Keynes Hospital NHS Foundation Trust (Queen’s Bench Division): Ongoing claim on behalf of a 12 year old boy with cerebral palsy (spastic quadriplegia) born with nuchal cord. O v Cardiff & Vale University Health Board (Swansea County Court): Delayed diagnosis of vestibular schwannoma leading to development of hydrocephalus following stereotactic radio surgery. A v Brighton & Sussex University Hospitals NHS Trust (Queen’s Bench Division): Claim for damages on behalf of a Claimant rendered permanently faecally incontinent following negligent performance of fistula surgery. G v Dr Lilly and Ors (Queen’s Bench Division): Claim for failure by GPs to diagnose high blood pressure and administer hypertensive medication over a period of 13 years leading to stroke. Tom’s Personal Injury practice is exclusively multi track and consists of acting for Claimants and Defendants in respect of serious and catastrophic injury work including brain injuries, spinal injuries, chronic pain conditions and serious psychiatric disorders. He has extensive experience of road traffic, public liability and occupiers’ liability actions. Tom has a particular specialism in respect of accidents abroad. He is currently instructed in numerous cases raising complex issues of jurisdiction and choice of law. 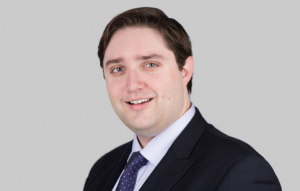 Tom has expertise in claims under the Package Travel Regulations, the Montreal Convention and the Athens Convention. £1.25m settlement in an amputation case following an agricultural accident. £850k settlement on behalf of a Claimant suffering from serious psychiatric injuries after a road traffic accident. £750k occupiers’ liability claim (liability disputed) following attendance at a major public event. Re D & W v Insurance Commission of Western Australia: Claim for damages following catastrophic injuries to two British Citizens following a Road Traffic Accident in Perth, WA. Tom undertakes a significant and growing amount of Product Liability work. He is instructed in cases in high profile, group actions as well as individual claims. Tom is happy to work with solicitors, on a CFA/DBA basis, from the very beginning in Product Liability litigation. He is always on the look out for new areas of potential litigation and attends bi-annual conferences in the United States, organised by the American Association of Justice, where the latest trends in American group litigation are discussed. Individual Product Liability cases relating to defective contact lenses, bikes, suntan creams and dehumidifiers.